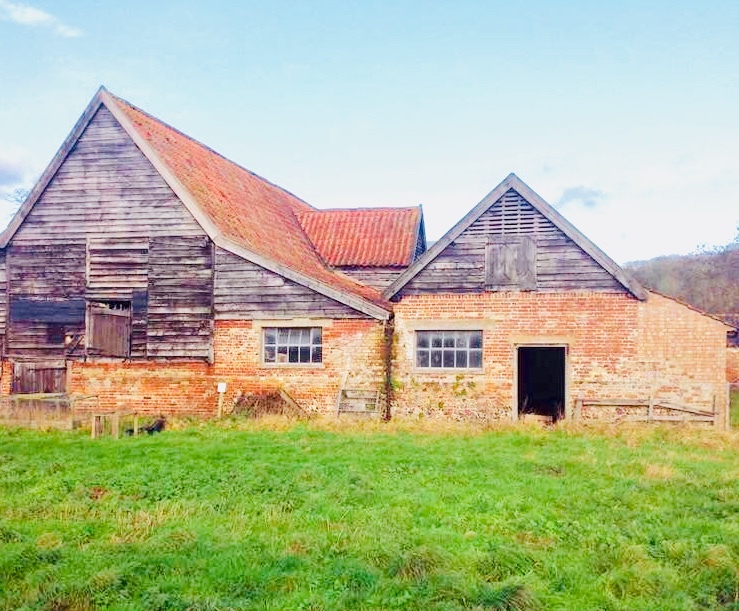 Suffolk Construction Ltd are pleased to announce the company has been appointed as principle contractor by Black Art Investments Ltd to undertake the conversion of a collection of Grade 2 Listed Barns at Benhall Low Street, Suffolk. The contract was awarded following the success of Suffolk Construction’s in house Design & Planning team in delivering planning consent for the client. The award of the £1m construction contract to Suffolk Construction represents a further platform for the companies continued growth and success. Simon Pask, Managing Director of Suffolk Construction said: “We are delighted to start this exciting project. We are particularly excited by this development as it sits in a truly unique space and offers spectacular and expansive views of the Suffolk Countryside”. 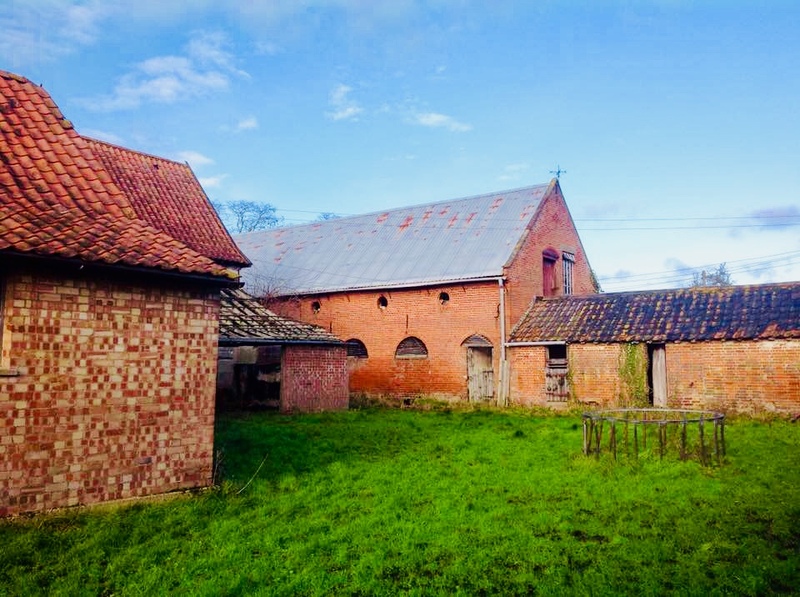 The Stables is a red brick, two Storey building which from the literature on historic Stable buildings is considered to date from the late 18th Century or early 19th Century. It is considered that it would have had a pan tile roof to match the roof covering on all the other buildings in the locality, however this has been replaced with a modern metal sheet covering. The images of England photo taken in 2005 and photos of the site in the 1980’s show the front elevation used to be extensively covered in Ivy, which has now been removed so that the arched windows and decorative details are once again visible. The plan form of the building suggests it was built as a one storey & a half storey structure with the attic space used for storage and was flanked on the eastern side by a single storey structure which screens the yard from the road and main access to Benhall Place. 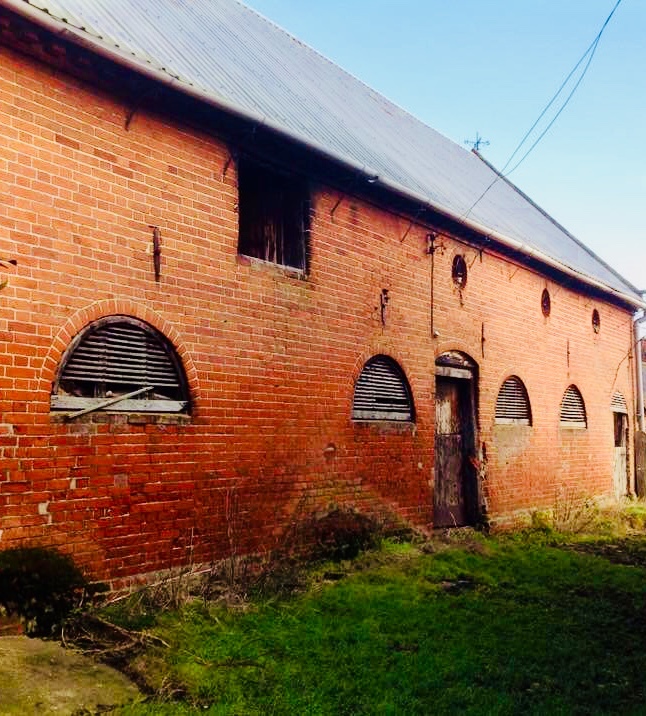 The Threshing barn to the south of the stables is dated to the 17th Century and is a timber framed structure which retains some of its weather boarding but has been extended and brick faced to the western elevation.